Product prices and availability are accurate as of 2019-04-19 07:41:34 UTC and are subject to change. Any price and availability information displayed on http://www.amazon.com/ at the time of purchase will apply to the purchase of this product. 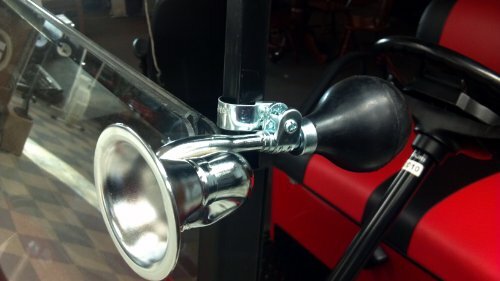 Make you and your cart stand out from the rest with an Old Fashion Chrome Bugle Horn. It has a distinctive sound unlike a standard golf cart horn. Cool horn sound that is unlike any other horn!!! OEM quality for a fraction of the cost!! "The King" knows that a "Penny Saved is a penny earned"!!! 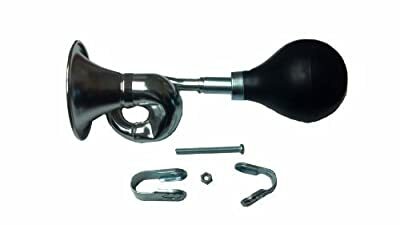 This is an aftermarket Chrome Bugle Horn. 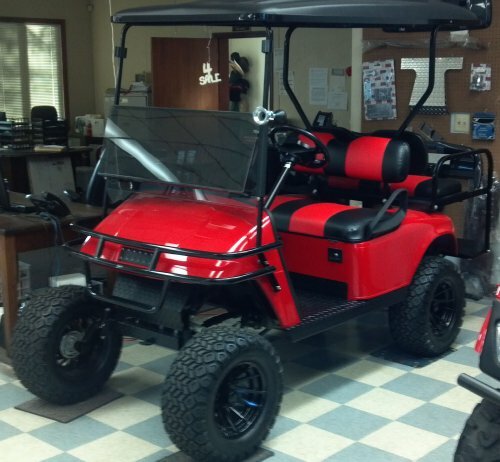 NOTE: Club Car and Yamaha models might require purchase of longer bolt to wrap around the top supports. (1) Bugle horn and mounting hardware Fits the Following Cart(s): Universal for any application/vehicle such as Golf Carts, Boats, RV's, Bicycles, Motorcycles, etc.